Nuggety notes of local fudge harmonise with rich toffee tones in a delectable duet of deliciousness. This product contains: Milk, Sulphites. Although none of our products contain nuts we cannot guarantee they are free from nut traces. For allergens, see ingredients in bold. 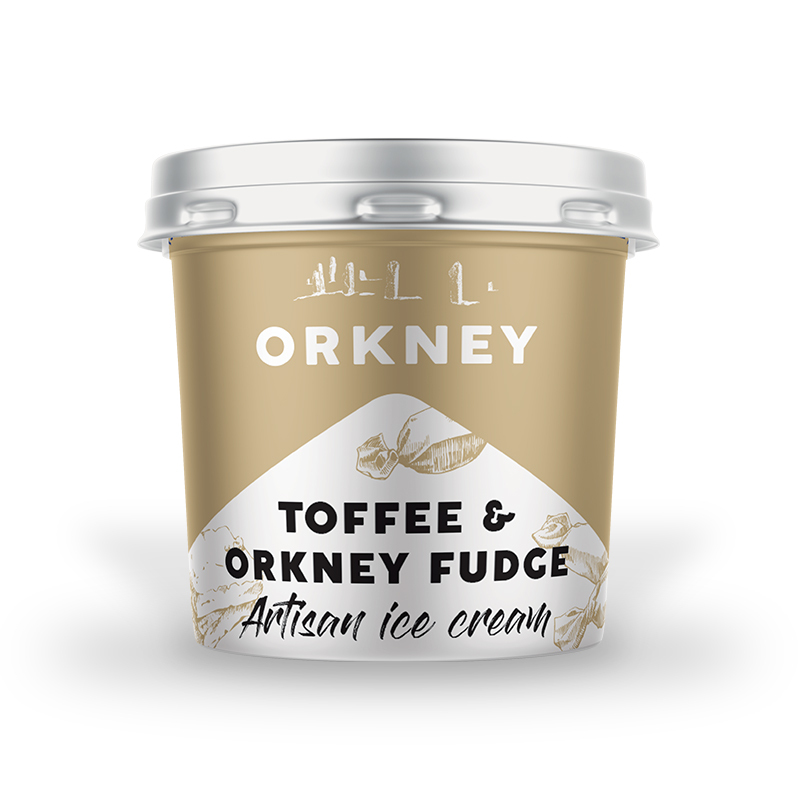 Whole Milk, Double Cream (Milk), Sugar, Orkney Fudge (5%), (Fondant, Condensed Milk (Milk), Butter (Milk), Potassium Sorbate Powder (Sulphites), Salt), Dried Skimmed Milk (Milk), Toffee Flavour (3%) (Glucose Syrup, Burnt Sugar, Flavour), Emulsifier (Mono- and diglycerides of fatty acids), Stabilisers (Sodium alginate) (Milk).